MOSCOW – How did it happen that in Sweden, the country that developed the technology for deep geological disposal of radioactive waste, construction of a such a repository – a first of its kind in the world – has been suspended for recognized risks and uncertainties, whereas Finland, which has copied the Swedish approach, is moving full speed ahead with building one? Bellona has looked for the answer on a fact-finding visit of the two countries. The nuclear and radioactive waste management dilemma is a pressing challenge for all countries that have ever had or still have nuclear power plants. 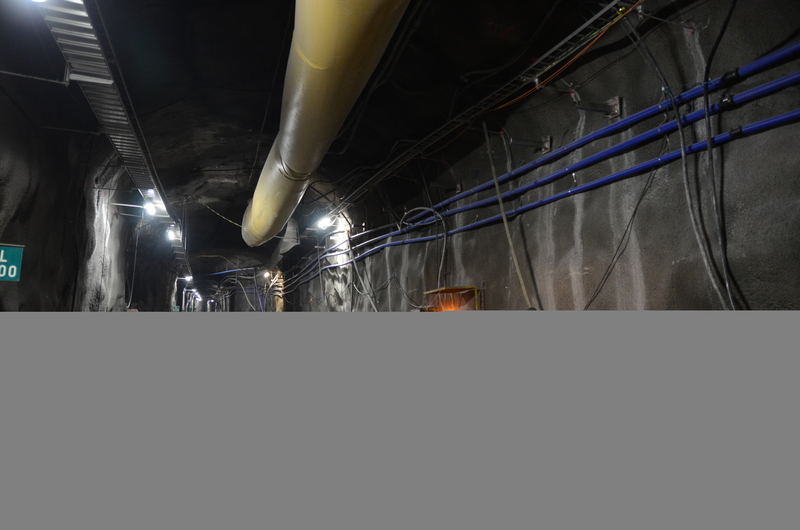 Many are considering the option of building deep underground facilities for disposal of radioactive waste – but only Finland has set to constructing such a site for what it formally classifies as the most hazardous radioactive waste: spent nuclear fuel. Last June, Bellona dispatched a delegation of representatives of several Russian research and environmental organizations to Sweden and Finland to find out how the public in these two Northern countries can influence decision-making with regard to handling radioactive and nuclear waste. A number of meetings were arranged with local municipalities, scientific organizations and NGOs. The visitors’ interest was precisely in that – public participation. But a short preamble on the issue’s background is first in order. The deep geological disposal concept was first suggested over 40 years ago to solve the problem of spent nuclear fuel, the nuclear industry’s most dangerous byproduct. To a certain degree, this was a continuation of the “bury and forget about it” principle, applied to the less radioactive and thus less dangerous waste – radioactive waste. 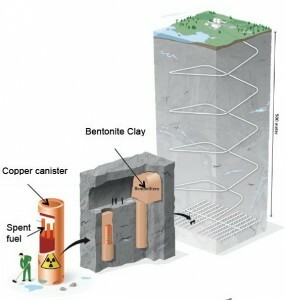 But where radioactive waste could be placed in shallow trench-type reservoirs or semi-buried near-surface concrete vaults, for nuclear waste, disposal facilities – repositories or burial sites – were proposed for construction in rock formations at a depth of several hundred meters. To date, no such deep geological repository has been created anywhere in the world. The engineering side of a project for such a repository has been most fully explored in Sweden, where the concept has been under development since the 1970s by the Swedish Nuclear Fuel and Waste Management Company (Svensk Kärnbränslehantering AB, SKB). In 1984, the concept of direct final disposal of spent fuel inside hermetically sealed copper canisters embedded in bentonite clay and placed in crystalline bedrock at a depth of 500 meters – the so-called KBS-3 method – was, by a political decision of the Swedish government, adopted as the “most acceptable from the point of view of ensuring safety and radiation protection.” Suggested over 30 years ago, this approach to a possibility of relatively safe disposal of radioactive waste and spent nuclear fuel is one that is still endorsed and promoted by the International Atomic Energy Agency (IAEA). The KBS-3 method also served as the basis for the Onkalo Finnish repository, near Olkiluoto Nuclear Power Plant, and already construction has started there. But in Sweden, where the concept originated, the KBS-3 repository project ultimately sited for Forsmark, near Forsmark Nuclear Power Plant, has yet to receive government approval. SKB has for several years been attempting to obtain a license to start construction in Forsmark, but has been denied permission by a land and environmental court ruling. The foremost reason is that as the project was being discussed with the public, SKB’s research was found to be incomplete and, in certain cases, inaccurate. 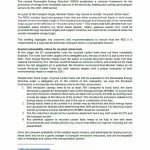 It turned out, for instance, that there is significant disagreement over the estimated corrosion rate of the copper canisters – which are considered the main engineered barrier to prevent the escape of long-lived radionuclides into the surrounding environment. 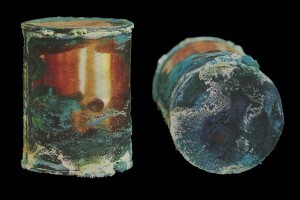 SKB asserts the canisters will remain intact for the next 100,000 years, while independent university research shows that copper’s corrosion rate in an oxygen-free environment but in the presence of salty seawater is considerably higher than expected and that the canisters may start to decay within the first thousand years. The issue of spent fuel disposal is not particularly urgent in either Sweden or Finland, so there is time both to carry out additional research and to look into other deep geological disposal options. And where public participation in nuclear and radioactive waste management decisions is concerned, the primary actors are the scientific community, NGOs, and the municipalities. What exactly are their roles? An independent scientific assessment of a project is made possible, first and foremost, by complete transparency and access to information – and not to the abridged environmental impact assessment statement, but to project documentation detailing engineering solutions that are critical to safety. This access only is what gives substance and meaning to public control over the nuclear industry’s actions. When, in 2011, Sweden’s SKB first applied for a license to build the Forsmark repository, the KBS-3 project documentation was published, which made it possible to give the project a review that would be independent from the nuclear industry’s own evaluation. 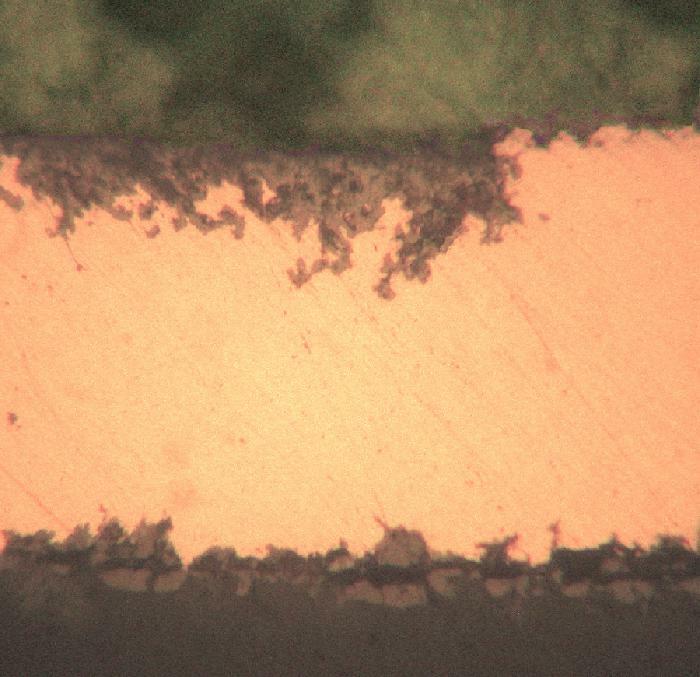 Researchers at a number of universities experimented with testing copper’s susceptibility to corrosion under various environments. It was thus established that copper’s corrosion rate observed during experiments was much higher than that cited in SKB’s calculations. In particular, corrosion was shown to be accelerated by heat and radiation emitted by the radioactive waste that was expected to be disposed of in copper canisters. These were the first tests of such kind since the issue of copper corrosion over hundreds of thousands of years had simply not been taken up by scientists before. Other facts cast doubt over the KBS-3 project’s safety as well. In February 2016, a special expert group appointed by the government, called the Swedish National Council for Nuclear Waste (Kärnavfallsrådet), published a 167-page report entitled “Nuclear Waste State-of-the-Art Report 2016: Risks, uncertainties and future challenges.” Among other things, it identifies the repository project’s risks and uncertainties having to do with earthquake impacts, with the long-term prospects of financing and monitoring the site’s condition, and with the health effects of low doses of radiation. The same National Council had earlier published reports on copper corrosion and bentonite clay erosion – the project’s two main engineered safety barriers. The council’s reports as an independent scientific body and at the same time one acting on a mandate from the Swedish government played an important role in revealing the KBS-3 project’s flaws. Finland has no such expert body. The concept of the repository, under construction in Euroajoki municipality, is criticized by many Finnish scientists, but the government is not taking notice and is likewise ignoring the scientific objections coming from its neighbor Sweden. 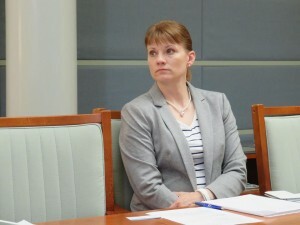 Finnish Parliament member Satu Hassi told the June visit participants that, for instance, one such voice of criticism is the retired Finnish geologist Matti Saarnisto, who believes no suitable place in Finland exists at all for a repository since no safety guarantees can be provided during the next expected ice age. Saarnisto, whose credentials include a research on the ice conditions that were characteristic for Nordic countries and Russia during the latest ice age, has said that the cavernous formations prevalent in the Olkiluoto area are at risk of sustaining considerable damage as a result of seismic activity predicted during the expected new ice age, when the repository may end up above the level of permafrost. He has also written an expert statement about the final disposal of nuclear waste at the Onkalo site for the Finnish nuclear safety regulator, STUK. Though there are no exact estimates for the temperatures that are expected during the next ice age, experts agree that – based on the knowledge about the previous ice age – the pressure of underground ice layers in the area around Olkiluoto may cause the bedrock to rise significantly. The last time this happened, deep geological shifts lifted the bedrock near Olkiluoto by as much as 800 meters, according to the Finnish broadcasting company YLE, which reported Saarnisto’s assessment in 2010. The threat of earthquake may further be exacerbated by the exploratory and construction works done at the site, Saarnisto said then. According to Saarnisto, permafrost can be expected to spread down to much deeper levels than the interment site, causing enormous pressure on the bedrock above. As permafrost pushes underground water masses in the bedrock, canisters containing nuclear waste may come under the threat of sustaining damage from the pressure. As a result, radionuclides may be released and carried by the water through the deep cracks right onto the surface, creating an environmental hazard of significant proportions. He also said that, “as in other parts of Finland, there are already clear cracks in the bedrock [from before]. […] The bedrock is broken and there are no uncracked blocks of several square kilometers needed for a nuclear waste [burial] cave,” YLE then quoted him as saying. In other words, in Finland, too, skepticism is voiced regarding the long-term – for the needed half a million years – safety of the chosen approach, but this opinion is not gaining traction. 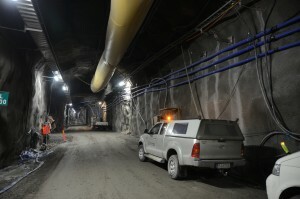 Following the political decision taken by the Finnish government in 2000 to build the deep geological disposal facility near Olkiluoto, construction work started at the site in 2004 for the facility’s infrastructure and the underground research laboratory, and the construction license for the disposal facility was granted in November 2015. 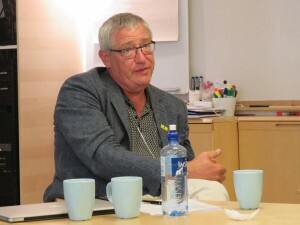 Johan Swahn, director of the Swedish NGO Office for Nuclear Waste Review (Miljöorganisationernas kärnavfallsgranskning, MKG), which is an environmental NGO established in 2004 to work specifically with nuclear waste issues, believes the public’s primary task is to ensure that the government adheres to two fundamental principles when making decisions: exercising caution and striving to find the best of available technologies. For now, he says, both principles have been broken with the Swedish KBS-3 repository project. A comparison of the KBS-3 method – interment at a depth of up to 500 meters – and the very deep borehole method, with disposal at a depth of between three and five kilometers. (Source: mkg.se). The precautionary principle is not being observed, either: There is no certainty that the copper corrosion rate, the ice conditions, and the seismic risks have been properly factored in. “Under the worst possible scenario, dangerous radionuclides may escape into the surrounding environment already in a thousand years, the first of the 500 thousand years that the repository, according to SKB’s assertions, is designed for. Our data says radiation levels at the surface in such a case may exceed background radiation levels by 1,000 times. This is unacceptable,” Swahn said. Based on this and many other arguments, the MKG coalition in May this year submitted a legal brief asking for a ruling denying the application for the Forsmark repository construction license. MKG is a coalition comprising five NGOs working with nuclear and radiation safety issues. The coalition is financed by the government’s Swedish Nuclear Waste Fund (Kärnavfallsfonden), the authority charged with collecting and managing the fees that are paid by nuclear power companies and owners of other nuclear facilities and which are intended to finance future expenditures for waste disposal and management. 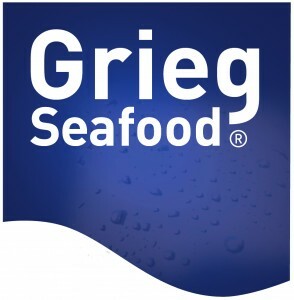 MKG only employs two staff members full time, but the organization manages to do a lot of work both in Sweden and at the European Union level, advocating firmly its position, addressing the authorities, explaining the issues with the KBS method to the public. “We believe that public participation in decision-making should be aimed at contributing to improving the quality of the decisions made and to preventing mistakes and miscalculations,” Swahn says. He added that MKG focuses its attention only on the radioactive and nuclear waste issue and takes no concrete stand on the acceptability of using nuclear energy. Most MKG member organizations, though, are against nuclear power plants. Finland has no NGO coalition dedicated to working with the radioactive and nuclear waste problem, which may be what put the nuclear industry, unopposed by substantial, consistently levied criticism from the public, in a position to start building the Onkalo repository. One of the intended end users of information coming from the scientific community and NGOs, as well as from the nuclear industry itself, is the municipalities on whose territories nuclear sites operate or are planned to appear. And the issue in Finland and Sweden is not the availability of information but how the municipalities choose to act on it. In both countries, a municipality’s consent is essential to a waste burial site project. The local population can thus be said to hold veto power over such a project, but it uses it differently. Anders Bergman, an expert with the municipality of Östhammar municipality, where Forsmark Nuclear Power Plant is located and where the KBS-3 repository has been proposed for construction, says the municipality is in any case a stakeholder in the decision-making. “We study the technical issues, too, but both the choice of location for the disposal site and the choice of disposal technology are issues for the nuclear industry itself,” he said. 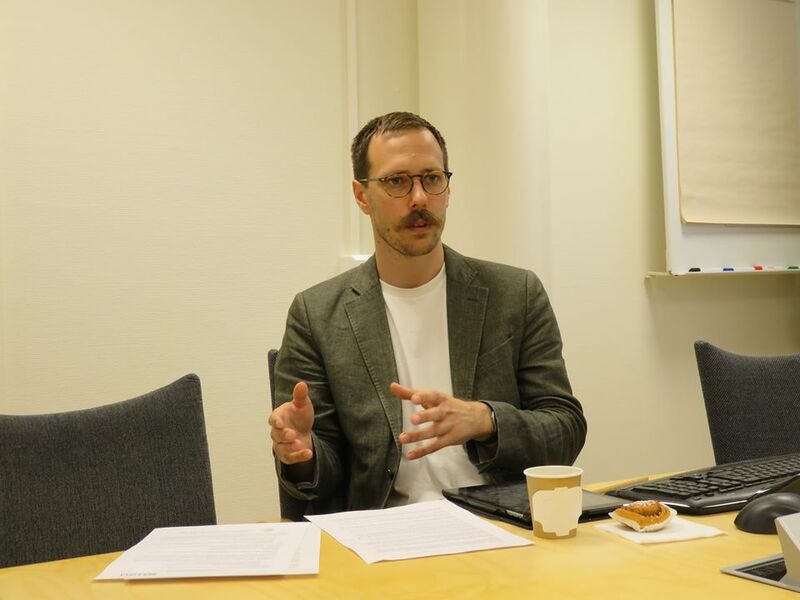 Bergman said the work of the two employees engaged with the repository issue in the municipality’s Strategy Department is paid by the Swedish Nuclear Waste Fund. The municipality thus can carry out an independent evaluation of the proposed project, rather than take the nuclear industry at its word. Furthermore, according to Bergman, the municipality intends to put into motion and conduct a local referendum on the issue of the repository’s construction in Forsmark, possibly in 2018 or 2019. Finland’s situation is different. 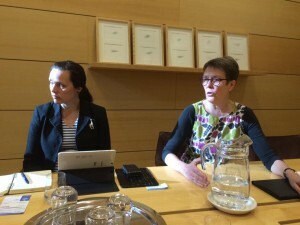 In conversations with the members of the June visit delegation, Johanna Huhtala and Raija Lehtorinne, representatives of Eurajoki and Rauma municipalities – which are located some 15 kilometers from Olkiluoto Nuclear Power Plant and the Onkalo repository construction site – said the locals trust the nuclear industry completely. Our question about whether a referendum is possible or if the municipalities’ veto power may be used caused surprise. “The process that there is is satisfactory to us,” said Huhtala, the Eurajoki municipality’s Business Development Coordinator. “We in Finland are used to trusting the authorities. There is a government oversight agency. It’s difficult for people to understand everything, they have to trust,” said Juha Hyvärinen, head of the Environmental Department of the city of Rauma. STUK (Säteilyturvakeskus), Finland’s Radiation and Nuclear Safety Authority, oversees the country’s nuclear sector and radiation safety issues, including the Onkalo spent fuel disposal project. The representatives of these municipalities are aware that the deep geological disposal project in Sweden has been halted over the risks and uncertainties revealed during independent assessments, but when asked why Finland ignored potential risks and pushed ahead with building the disposal site near their municipalities, the municipal employees seemed perplexed. “This is a very technologically complex project, I don’t know,” Huhtala said. Parliament member Hassi suggests that “possibly, the main reason why Euroajoki municipality was selected [was] because they support nuclear. They have got a lot of municipal taxes from the Olkiluoto nuclear power station,” Hassi said. If the perception that obtaining public approval for a new hazardous site is easier or only possible in a community already having an operating nuclear power plant is a factor in the siting decisions then the same could probably be said about Sweden, where of many initial location suggestions with pilot studies, two were chosen for trial drilling: one near the nuclear power plant in Forsmark and the other in Oskarshamn, also near a nuclear power plant. From the point of view of the Swedes, the Finns are being too hasty and are risking building an unsafe site. From the point of view of the Finns, the Swedes, who finance expert and public involvement at the municipal level and via independent researchers and NGOs, are bogged down in bureaucracy and procedure. It appears though that this approach by the Swedish government is what has made it possible for the Swedish public, municipal bodies, and experts not only to study the repository project and voice their expert objections, backed by scientific findings, but also to make their objections heard. This possibility for public feedback and participation is financed from the Swedish Nuclear Waste Fund, which pays for the work of the National Council for Nuclear Waste, the MKG coalition, and the municipalities’ experts evaluating nuclear projects. This is a rather small portion of the fees that the fund collects from the nuclear industry for future waste disposal and nuclear power plant dismantlement. But it does its job of giving autonomy to the funding recipients among the public as they form their opinion, critical as it may be: Importantly, the fund is managed by the government and not by representatives of plant operators and may not be used to promote nuclear energy projects in any way. 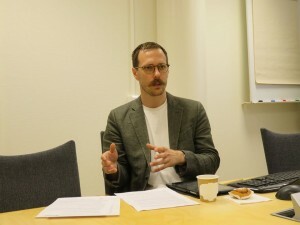 Sweden’s experience in putting together a decision-making system that includes avenues for the public to analyze and review an environmentally significant project beyond just a blank approval or rejection seems to help balance out the field, preventing the nuclear industry’s interests from prevailing over those of the public. Finland’s experience seems to show that even in a democracy a situation is possible where a project gains public approval as a reliable solution to the problem despite substantial expert criticism with regard to its long-term safety. 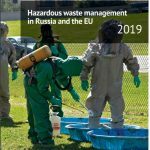 This article was prepared as part of the project “Public participation and civilian control on radioactive waste management in the EU and Russia.” The project is being implemented with support of the EU-Russia Civil Society Forum. 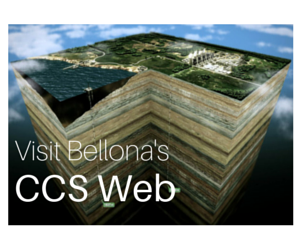 The contents of this publication are the sole responsibility of the author and Environmental Rights Center Bellona/The Bellona Foundation and can in no way be taken to reflect the views of the donors. Some of the quotes used in this story have been translated into English as they appeared in the Russian original version published at www.bellona.ru.